The eating out market is boosting pig meat performance for Britain’s beloved bangers and bacon. MCA Insight said that pork dishes eaten out increased by 3% in 2018 to 1.95 billion, growing its share of the out-of-home meat market to 32.5%. Meals featuring pork at breakfast grew by 5% to 755 million meals, dinner also grew by 5% to 194m and snacks saw an increase of 4% to 524m. Only lunch lost out, declining by 3% to 480m meals featuring pork products, reflecting a drop in lunchtime visits across eating out as a whole. 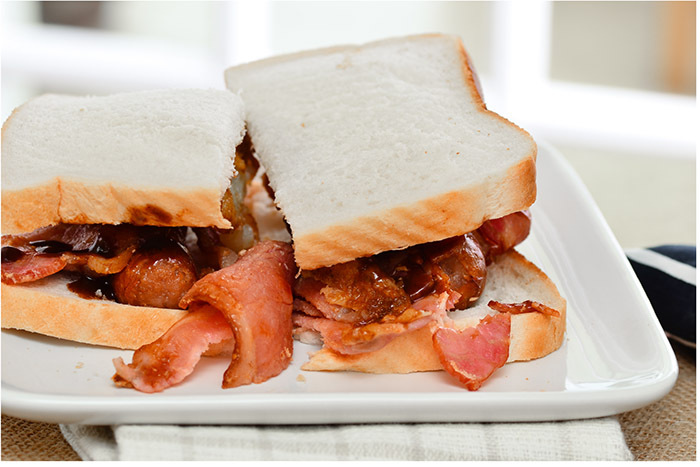 Traditional favourites such as sausage sandwiches were up 14%, sausage rolls up 10% and bacon sandwiches up 3%. With breakfast booming across the board and spend increasing to £5.29 a visit. Hash browns also benefitted from being on the side, featuring in 2% more meals last year, contributing to overall potato growth. Eating breakfast out of home is becoming more popular as consumers are increasingly time limited, aiding food-to-go growth too. Therefore, traditional fare like bacon and sausage sandwiches are benefiting. This positive trend provides further opportunities to get pork on the menu. Coffee shops and cafes have grown in popularity, now making up 15% of the total eating out market. Food-to-go is also outperforming wider foodservice, now holding a third share of the market.